The BMW M badge, something that before recently would only be associated with the most insane, tail happy, unforgettable and brutal BMW’s money could buy. However, now the M badge has been given to both the X3 and X4, two cars that really could have done with less of a reason to be so boisterous. There is an abundance of different opinions on such large, powerful and sporty vehicles. However, no matter the opinion, there are two new editions coming your way. 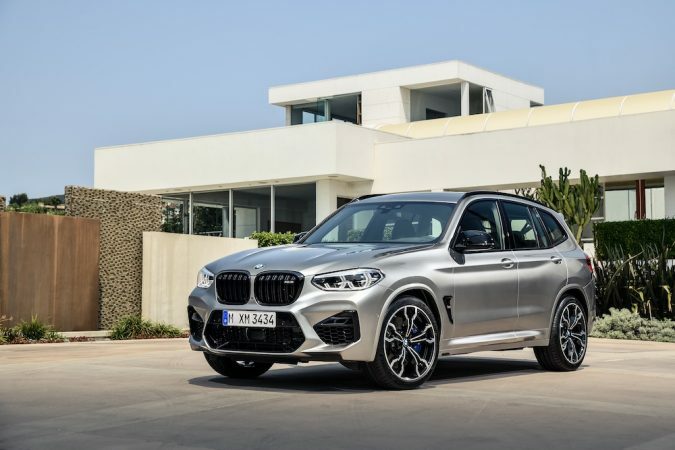 Both the X3 and X4 have been reversed back into the BMW factory, and have re-emerged pumped and ready to tackle the roads with a new kind of ferocity. 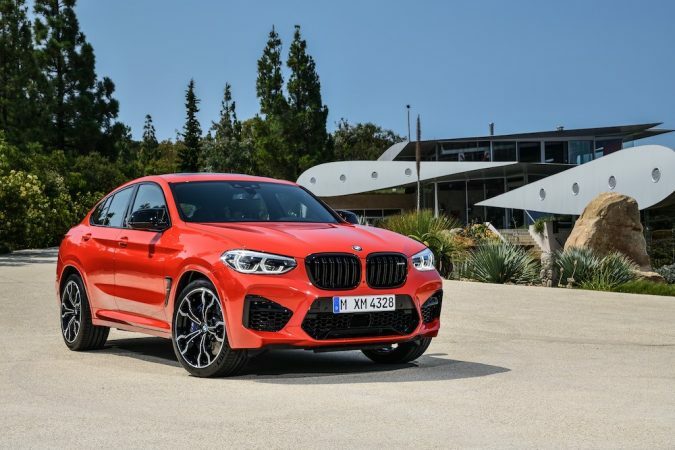 If you do decide that you want your very own monster to put in your garage, it will cost you, starting at £77,070 for the X3 M and £79,990 for the X4 M.
What Kind Of Monster Did They Put Under That Bonnet? BMW’s latest creation uses track proven cooling and oil supply systems as well as the latest M TwinPower Turbo technology update. Both will captain the newly developed 3.0-litre in-line six-cylinder petrol engine, cleverly utilising 3D printing in its production. 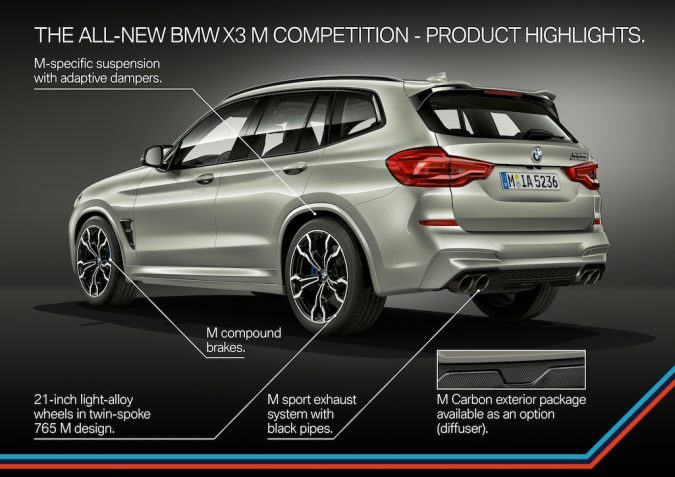 This allows both the X3 M and X4 M to accelerate 0-62mph in 4.1 seconds, and will continue onto their electronically governed top speed of 155mph. 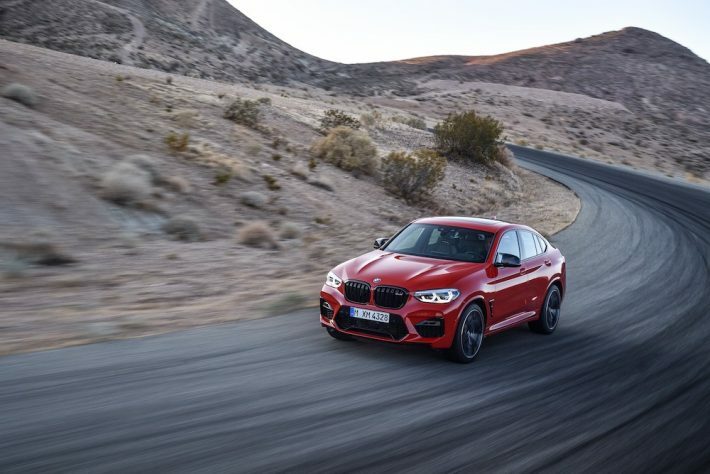 However, you can add the additional M Driver’s Package to increase the top speed to 174mph, also allowing the driver a chance to participate in the M intensive training course within the UK. You can’t have an engine without bhp, and both have 510 of that, with a peak torque of 600Nm. Now this brand-new engine is accompanied with the dual-branch exhaust system, creating an orchestra that will perform a series of beefy thunderclaps on every shift purely for your own entertainment. Unfortunately, the beefy thunderclaps come at a price, that price being petrol. 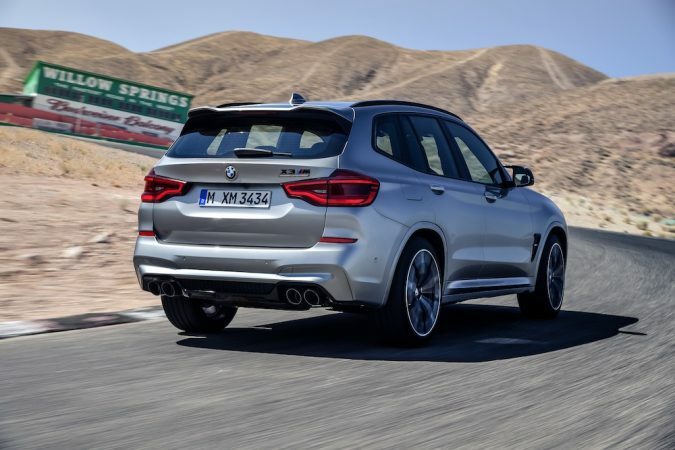 The BMW X3 M Competition’s combined fuel consumption is 26.9mpg with CO2 emissions of 239g/km, while the X4 M Competition will give you 26.7mpg and CO2 emissions also at 239g/km. The new high-performance engine links up with the latest upgrade of the eight-speed M Steptronic transmission with Drivelogic. As well as fully automated gear changes, it also enables manual shifts with sequential gear selection. The Drivelogic system has 3 modes; mode 1 being for smooth efficient driving, mode 2 being for sportier driving with shorter shift times, finally mode 3 just sharpens the gear changes even further. Both cars will utilise the new M xDrive all-wheel-drive system, sending power to all four wheels. As they are AWD, as appose to a more barbaric 4WD, you can disperse the power as you wish between the front and rear wheels at the touch of a button. 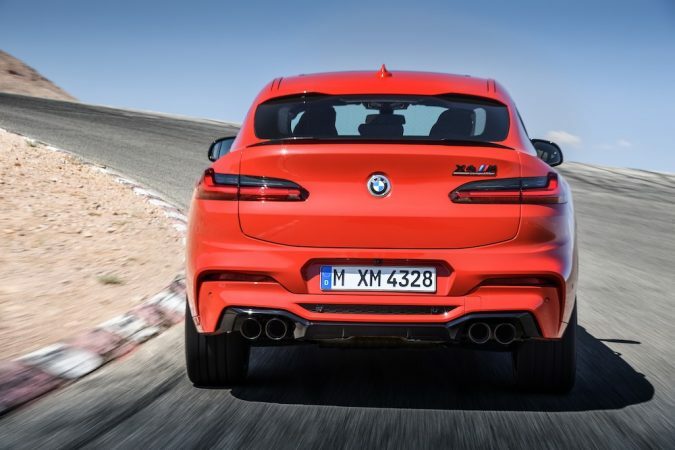 They have also been underpinned by a model-specific chassis technology tuned to perfection by BMW to match the new engines higher power output and capability of the M xDrive AWD system. Maximum efforts have also been taken to improve steering precision, direct response and a reduction of body roll which is usually a big point of concern for some of the bigger cars. The list of clever tricks goes on and on with adaptive suspension, electronically controlled dampeners, ‘COMFORT’ ‘SPORT’ and ‘SPORT+’ modes and M compound brakes. There is no avoiding the in your face fact, that these things are huge. If you struggle parking, probably not your cup of tea, especially at almost £80,000 per car. In terms of actual styling. 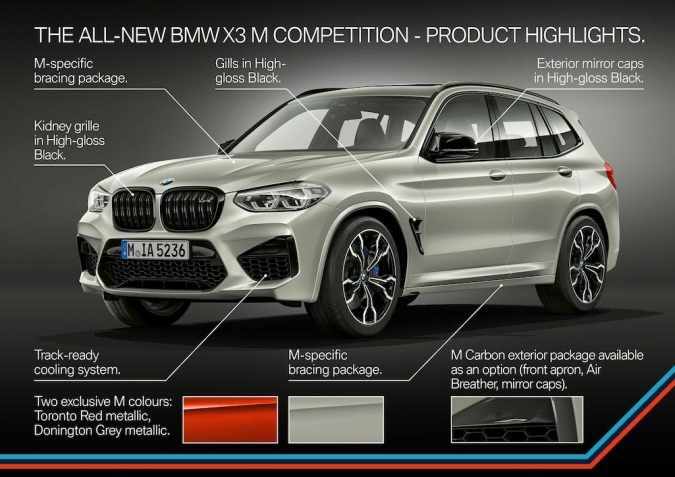 I much prefer the X4 M, mainly due to the fact it just looks like an inflated version of most BMW saloons, they haven’t changed the base features as much, not compared to the X3 M anyway. 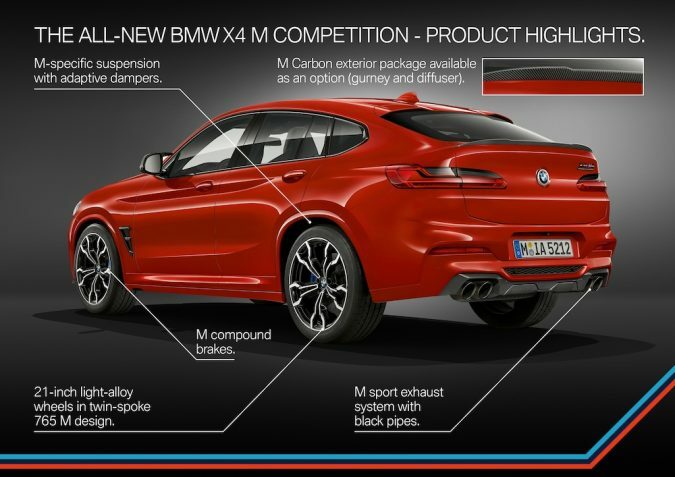 Plus, I think the X4 M looks that little bit sportier than its companion. One thing that does bother me about the X4 M, is how small the back window looks compared to the actual surface area of its backend. Overall though, neither of these cars are in no way bad looking, not compared to others we have had the pleasure of looking at over the years. 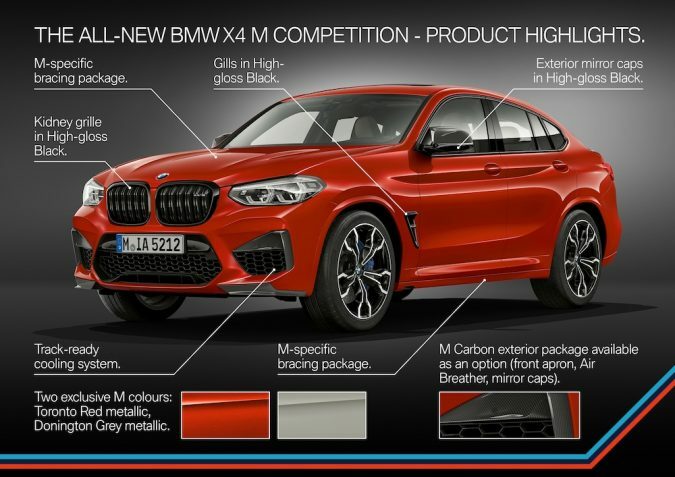 There is a choice of seven colours for the exterior paintwork of the BMW X3 M Competition and BMW X4 M Competition, including the brand-new Toronto Red metallic and the popular Donington Grey metallic, both exclusive to M cars only. As these are borderline SUV’s, utility is still very much something enforced within these vehicles. The Seats can be folded to allow a luggage space of 1,600 litres in the X3 M and 1,430 within the X4 M. Meaning its not one of those cars that looks big and then when you get in its somehow cramped, these are big through and through. 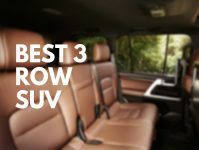 Sport seats, ergonomically efficient design and heated M seats are all things you will enjoy inside the cockpit of both M Competition models. 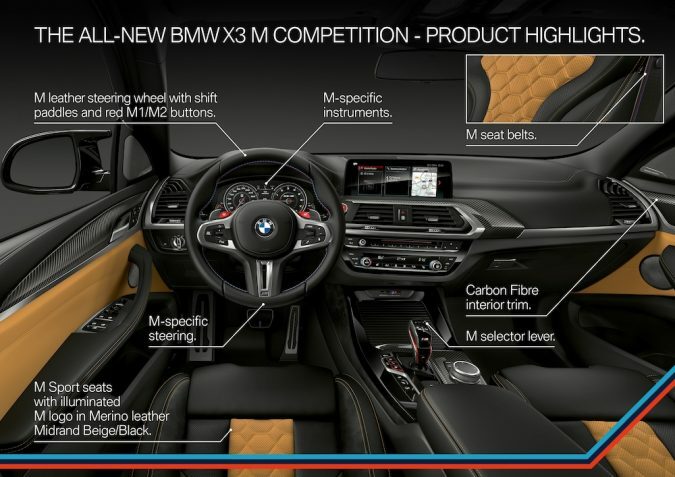 A very diverse range of customisation is available to make sure your looking at exactly what colours and materials you want when sat in the M competition seats. The exclusive Midrand Beige with Alcantara seat can be optionally selected, as can Carbon Fibre interior trims. 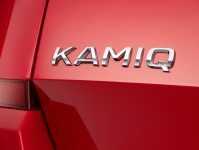 Standard editions of both cars includes BMW Icon Adaptive LED headlights, electric seats with memory, Harman Kardon loudspeaker system, Active Protection, Acoustic Glazing, Driving Assistant and Electric folding mirrors. Additionally, both Competition models come with 21-inch Bicolour wheels, an M Sport exhaust system, Black kidney grilles and black tailpipe finishers. 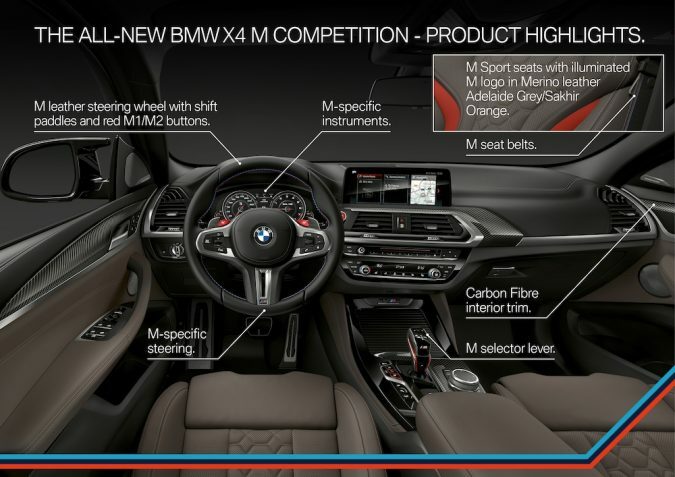 The 10.25-inch touchscreen hosts Professional Multimedia navigation, this can be navigated and controlled by the iDrive Touch Controller on the centre console, the multifunction steering wheel buttons, the intelligent voice control feature or the optional BMW gesture control. Standard equipment also includes Bluetooth with wireless charging, WiFi hotspot preparation, Real-Time Traffic Information with On-Street Parking Information, and Remote Services. The layout itself is definitely one of the better ones as a whole, everything you need is close together, but not to the point where it becomes cramped, confusing and unusable. The steering wheel itself has a few too many buttons for my liking, but once again is all down to personal preference. As a whole, the interior seems to have a wonderful mix of sport and luxury perfectly balanced. So, Putting personal opinions aside, the Super Sporty SUV market is booming at the moment, and these two new additions will certainly be causing some ripples. 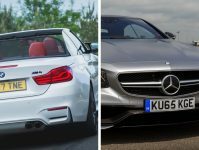 The power added by the M badge to these already established cars will definitely attract some large crowds ready to spend nearly £80,000 on a such a promising set of cars. Plus, at the end of the day, it’s very hard to say no to more power!